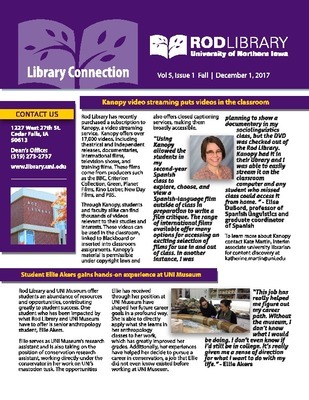 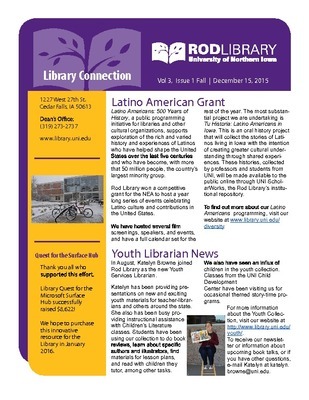 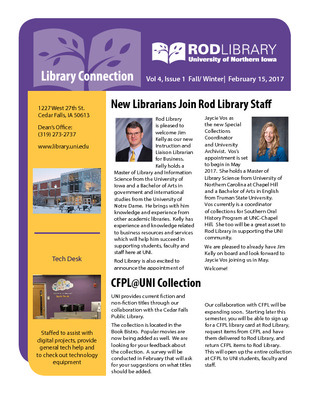 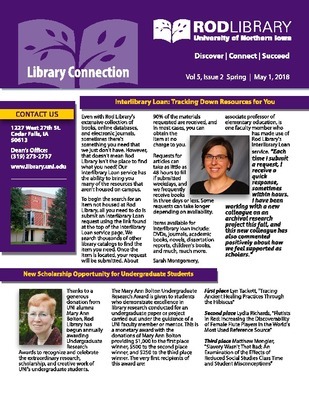 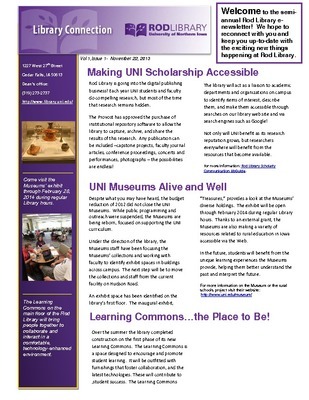 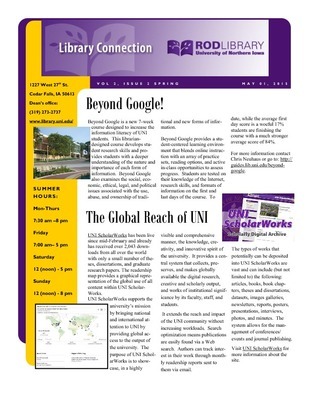 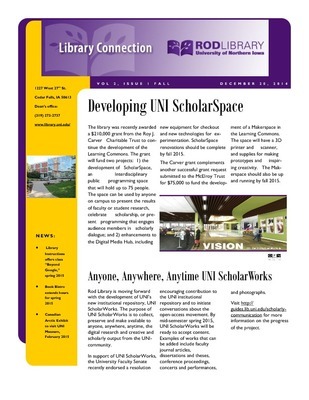 Library Connection is an external newsletter highlighting people, services, collections, and events at the Rod Library. 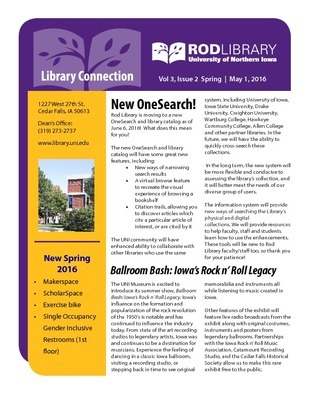 This publication is delivered electronically to campus faculty and staff and other interested parties. 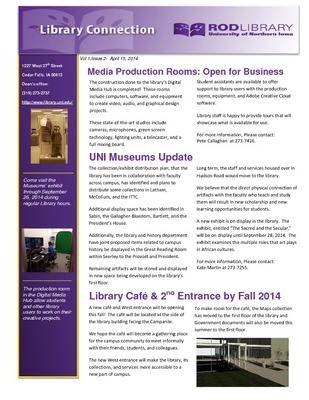 -- Learning Commons...the Place to Be!